In lieu of this week's blog, here's a quick snapshot of action on two bills we have been monitoring. Following, you'll find testimony on LB 417, and a letter of support for LB 442. Response to help families with a low-risk of child abuse and neglect to receive the local services needed to keep children safe. It provides technical changes to existing statutes relating to health and human services, operational efficiencies and improvements within the Department. This bill also provides technical changes to the behavioral health peer support program, reporting requirements, Quality Review Team under the Developmental Disabilities Services Act, nursing assistant statutes, vital records and senior companion volunteers." three additional members of the legislature." 417 (Testimony): Good afternoon Senator Riepe and members of the Health and Human Services Committee. For the record, my name is Brad B-R-A-D Meurrens M-E-U-R-R-E-N-S, and I am the Public Policy Director for Disability Rights Nebraska, the designated Protection and Advocacy organization for people with disabilities in Nebraska. As such I am here today in opposition to LB 417 as currently written. Our opposition to this bill rests in the deletion of important areas of reporting contained in several sections of the bill. First, we would suggest retaining the language describing the issues to be included in the analysis of the medical assistance program (Section 9, page 14, lines 19-23). The bill as written would remove information critical to the department’s analysis of the program, seemingly leaving up to the department any decision about what aspects of the program should be reported, evaluated, and analyzed. While we have confidence in the department’s ability to tease out the pertinent information for legislative and public digest, we would be more assured that these key areas are sufficiently addressed if they are specifically required in the department’s analysis. Additionally, we would suggest keeping the language on page 16 (lines 2-4) that requires that the department’s monitoring of the medical assistance program be reported, at a minimum, to the Governor and the legislature. Monitoring is good, but when it is potentially sporadic or not brought to the attention of policymakers, it is not as strong as it could or should be. Second, we suggest that LB 417 retain language requiring data reporting regarding behavioral health in Section 13 (7), pages 20-21. Disability Rights Nebraska strongly believes that effective policymaking is guided and informed by substantive and thorough data collection and reporting. Thus, we would encourage the legislature to re-examine this part of Section 13 to retain as much of the existing data collection requirements as pertinent and possible. Third, we object to the dissolution of the quality review teams and the process to evaluate the quality of developmental disability services. We are not confident that the best means to assure and evaluate the quality of services is to default to internal mechanisms. We contend that the most effective means to achieve this is to have both a quantitative and qualitative analysis of services that is independent of the division and objective in nature. We agree that monitoring and reporting is key and support the concept of developing a quality assurance plan, but we feel that this plan would be more robust if it was required to include information gathered by the quality review teams already established in statute. We do not believe that the new language in Section 28 (pp. 20-21) regarding the process and development of the quality assurance plan is mutually exclusive with the stricken language in LB 417 regarding quality review teams and their qualitative focus. 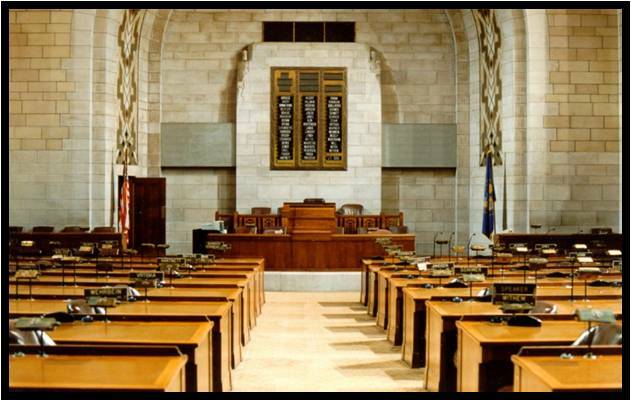 Rather, we believe that utilizing both approaches would best serve Nebraska and this legislature. If the issue is with the composition, activities, or performance of the quality review teams, then the legislature should work to strengthen the teams’ work rather than throwing out the proverbial baby with the bathwater. Disability Rights Nebraska would be happy to work with interested and relevant entities to assist in this effort. Finally, we do support one piece of the proposed legislation—the establishment of standards for peer services in Section 12 (page 18, lines 19-21). Peer services are an important piece of the overall behavioral health system and services. They should be codified as a service under the auspices of the behavioral health division and standardized in order to increase consistency, quality, and legitimacy. LB 417 needs further review before being advanced. Disability Rights Nebraska stands ready and willing to assist this effort." Disability Rights Nebraska, as the designated Protection and Advocacy organization in Nebraska, writes to offer our support for LB 442. We support the effort on LB 442 to create the Medical Assistance Managed Care Organization Oversight Committee. Given the importance of the medical assistance program for people with disabilities and the changes that will be ushered in by managed care within that program, it is appropriate that there be a mechanism to hold managed care organizations accountable to medical assistance recipients and the public. Additionally, we support the creation of this oversight committee so that it is clear what the results of managed care; the required comparison in the bill for pre-managed care expenses, quality, etc. is a key mechanism to produce such clear results. We further support the requirement that the committee hold at least two public hearings each year. While the oversight committee itself holds promise to understand more fully the impact of medical assistance managed care, especially from a fiscal or quality standpoint, it is also of the utmost importance to understand the impact from the individual or consumer point of view. We would only have a few friendly suggestions about the specified content of some committee research areas. These are not meant to diminish our support for the bill, but rather some issues that the oversight committee should address in their briefing and report in Section 2: 1. Include a description of how quality is measured; is quality measured by a survey instrument, site visits, or interviews with recipients? 2. Include a description of the number, types, and resolution of grievances made. Even if this may be intended in the language “quantitative case data and summaries of case resolution by the managed care organization” (see pg. 3, lines 26-27), the language could be clarified so that the intent is clearer. It is important to know not only the grievance procedures, but also what the grievances were and how they were resolved. Again, Disability Rights Nebraska supports LB 442 and its mandate for clarity, oversight, and transparency of medical assistance managed care in Nebraska and would suggest the bill advance. Bradley A. Meurrens, MPA Public Policy Director Disability Rights Nebraska"
If you would like more information about these bills, you can search for them by number at http://nebraskalegislature.gov/ . Please keep an eye on our website for the upcoming list of High, Medium, and Low priority bills that we will be following closely during this session. For questions about testimony or letters, contact Brad Meurrens, Public Policy Director at brad@drne.org or by phone at 402-474-3183.